Finalists have been announced for the 2015 Ontario Export Awards! Winners in each category will be announced at the Ontario Export Awards Gala, taking place November 24 in Mississauga, Ontario. Join us and meet the finalists and winners of this years awards! 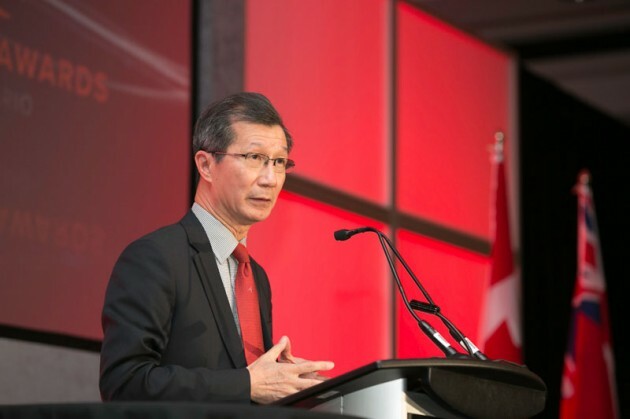 TORONTO—Finalists have been announced for the 2015 Ontario Export Awards. The awards, which recognize leadership and success in 11 categories covering many areas of Ontario’s exporting economy, will be held at a luncheon gala Nov. 24, 2015 at the International Centre in Toronto. The overall Exporter of the Year and Global Reach award winners will be selected from this group of finalists. An International Business Studies Student Award that highlights the strong future of exporting in Ontario will also be presented. Presented by CanadianManufacturing.com, the Ontario Export Awards are a division of the Canada Export Awards, which has been hosting provincial ceremonies in B.C. and Alberta for more than a decade. Following on the success of B.C. and Alberta, 2014 was the inaugural year in Ontario and the response was overwhelming. The Ontario Export Awards may be considered the province’s most prestigious awards paying tribute to the innovative approaches and contributions of Ontario export companies, and the individuals who create those success stories.